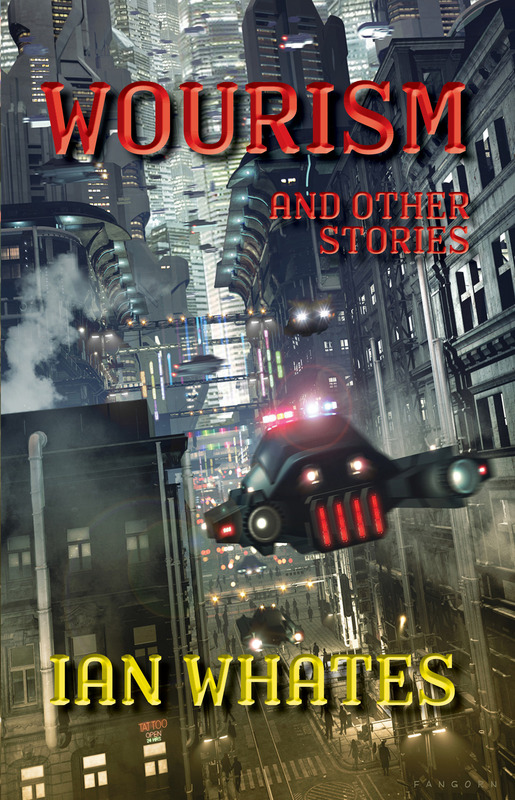 Wourism and Other Stories by Ian Whates is the sixth book in The Harvester Series. All the books in this series will include excellent stories from the past and some brand new ones, along with special bonus material. For Wourism and Other Stories, Ian has included personal reflections for each of the stories. Chris Baker, aka Fangorn, is the man behind the cover. Fabulous! 1. Wourism and Other Stories will enter pre-order on the 2nd of July 2019 – so make sure to subscribe to our newsletter to receive an extra discount on the already discounted pre-order price. 2. The official release date is Tuesday 6th of August 2019. 3. The launch party will be held at Fantasycon 2019, and we really hope to see you there! “Wourism and Other Stories is my first collection of short stories to be released in English since 2016’s Dark Travellings (I’ve had a collection, Torres de Babel, published in Spanish in the interim). Any writer likes to think their work evolves and improves with time – however experienced you are, you never stop learning – and with most of the stories in this one having been written during the past four years, I’d like to think it’s my best collection to date, certainly the most consistent. Not all the stories are recent, however; there are also a couple from earlier in my career that simply didn’t fit into previous collections, which contributes to the varied nature of the book. My first love has always been science fiction, and the majority of stories here would fall under that broadest of umbrellas in one way or another, though not all. There are also some darker tales that dip into horror, including one that draws on a scent that haunted my teen years – to this day I’ll never know whether this is something I encountered once that stayed with me or something I completely imagined, but I always knew there was a story in it somewhere. When I finally worked out what that story was, I was delighted to see it feature in John Joseph Adams’ Nightmare magazine. Two of the stories are standalone tales set in the same worlds as my novels, with Beth and Bones taking place in Thaiburley, City of a Hundred Rows, a century before the events depicted in City of Dreams and Nightmare, and Montpellier, featuring the Saflik, a criminal organisation first encountered in Pelquin’s Comet. Most, however, inhabit realities all their own. While some of the stories look to the distant future – Sane Day, a previously unpublished story set on an alien world with no human involvement at all, for example, and The Failsafe, which appeared in one of the best-selling Explorations series of anthologies –many examine the near future. Near future SF is often the trickiest to write, because the world can change so radically so swiftly (who among us predicted Donald Trump’s presidency? 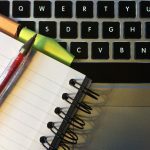 ), instantly rendering a story out-of-date, but it’s also the keenest tool for highlighting the implications of trends and developments that are evident today. This is something I attempt in my own fumbling fashion in the collection’s title story, Wourism (originally seen in Galaxy’s Edge), and also in a triptych of linked flash pieces: Trending (originally published by Daily Science Fiction), Browsing (which first appeared in the science journal, Nature), and Temporary Friends – the latter an unpublished piece written especially for this collection.